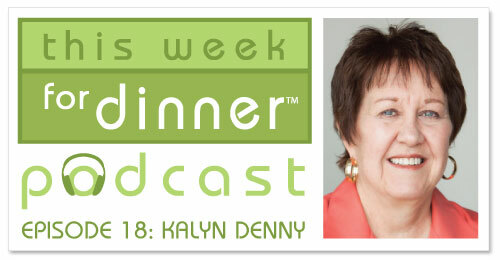 Food blogger Kalyn Denny had no idea how her life would change when she started a blog called Kalyn‘s Kitchen (http://www.kalynskitchen.com) to store the recipes all her friends were asking for. That was in early 2005, and since then she has retired from teaching elementary school, became a full-time blogger, and now spends most days cooking, photographing the food, writing recipe posts, sharing on social media, and doing all the other things it takes to maintain a successful blog. In addition to her main blog, Kalyn has a site called Slow Cooker from Scratch (http://www.slowcookerfromscratch.com) that features from-scratch slow cooker recipes from other bloggers. She has appeared on panels talking about blogging at BlogHer, BlogHerFood, SXSW, and IACP Conferences. Kalyn lives in Utah, and is passionate about sushi, Scandinavian murder mysteries, gardening, cooking, photography, The Good Wife, Feta cheese, and her family, not necessarily in that order. It’s New Year Resolution Time! Be sure to check out Kalyn’s low-carb recipes by clicking here. You can also view all the recipes on the site sorted by diet type by clicking here. haha! it was a PLEASURE having you on!